Attempting to use the site with a Nexus 4. 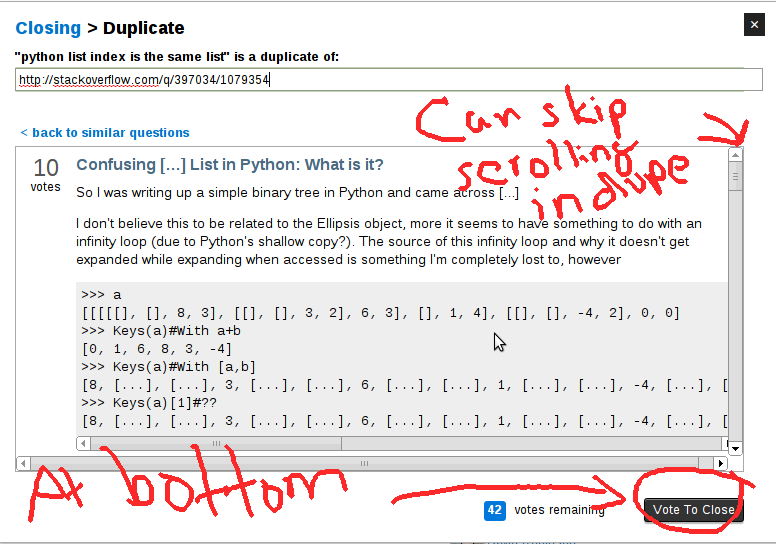 I came across a question that was a duplicate, so I found the dupe and voted to close. The only problem: the button is at the bottom of the modal. While in mobile view, that means lots of painful scrolling all the way through the question and its answers. This definitely affects usability while on mobile. You should give the new responsive design for mobile a try. It fixes a lot of these annoying bugs that have been bothering us for a long time (while at the same time creating some, but overall it is better). You can enable the responsive design by clicking full site in the page footer. In a response to a similar post on MSO, I gave this answer. It applies to MSE, and other sites in the network too, so reposting here. Not the answer you're looking for? 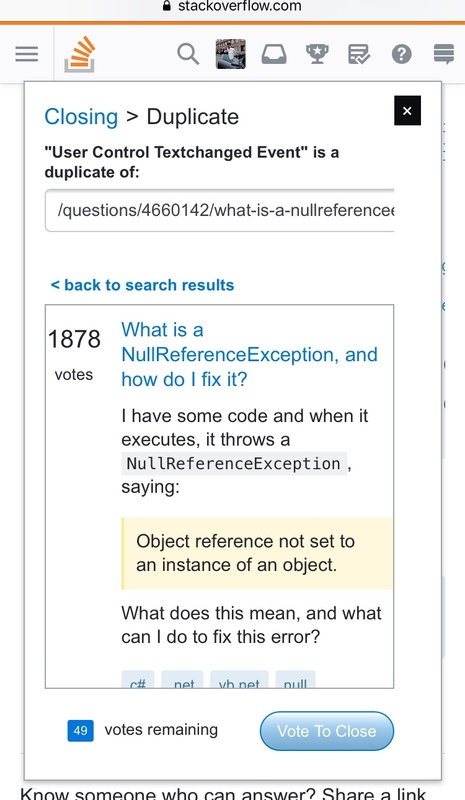 Browse other questions tagged bug review vote-to-close mobile-web usability . How do I delete or flag comments using the mobile website?